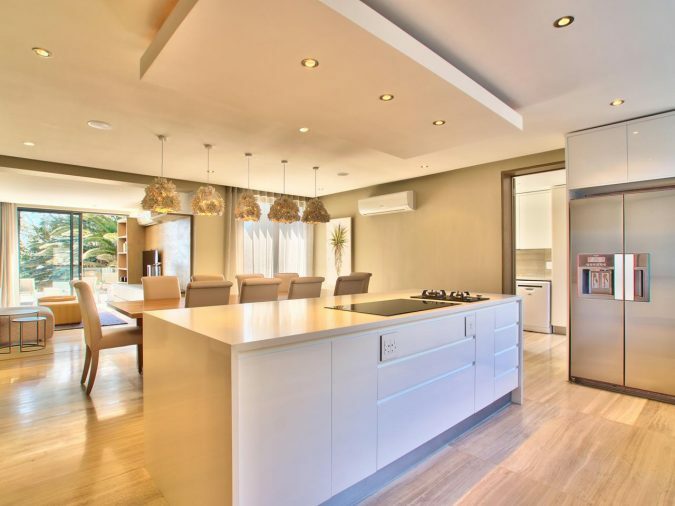 Home is always the place we retreat to after a long tiring day; it is where you start acting like yourself, take a break from the daily routine and everyday’s responsibilities and duties. 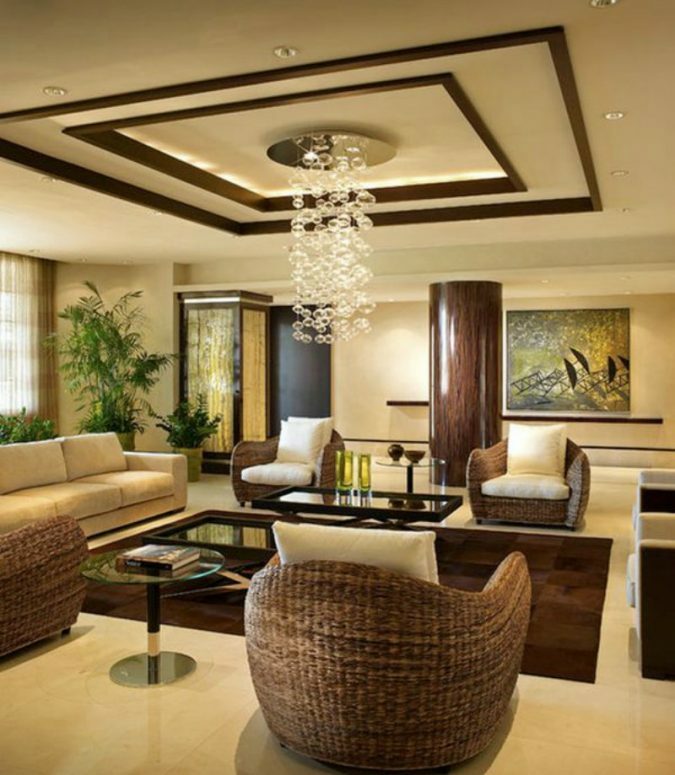 In order to reach such comfort, you need to make sure that your home is decorated according to your mood and taste, for that will consequently help in softening your mood every time you feel blue. 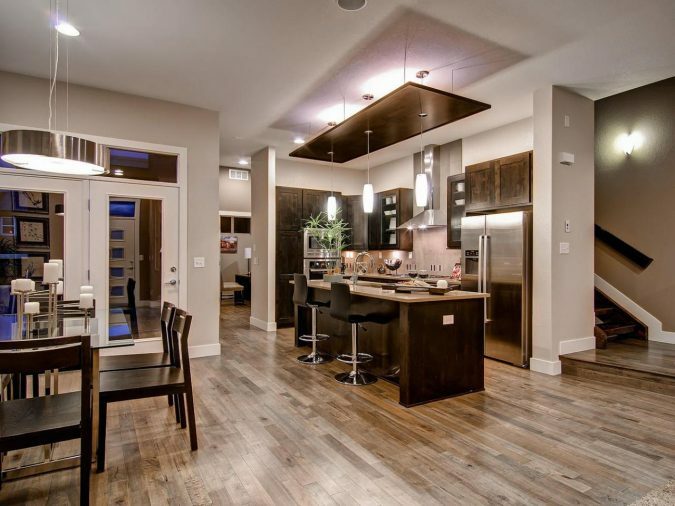 If you are not ready for a total makeover, you can just do some changes that will look like you exerted a great effort in redesigning your home. 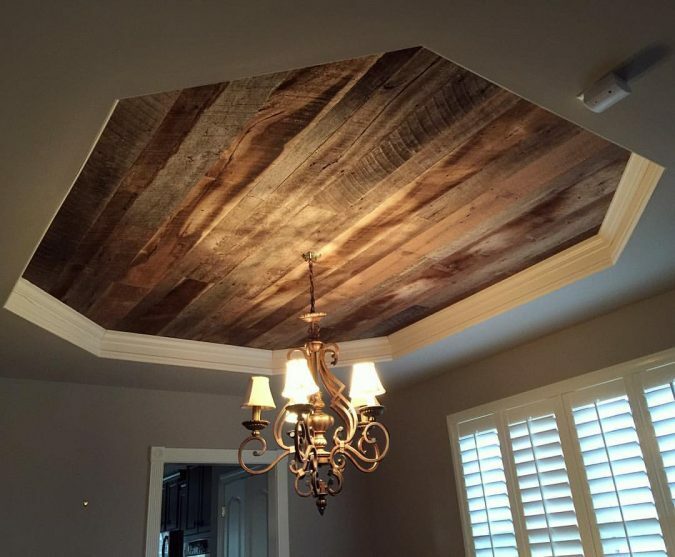 The thing that few people pay attention to is the ceiling; maybe you don’t know how different the ceiling can make your home’s overall design look, but you probably should give it a try, and you won’t regret it. 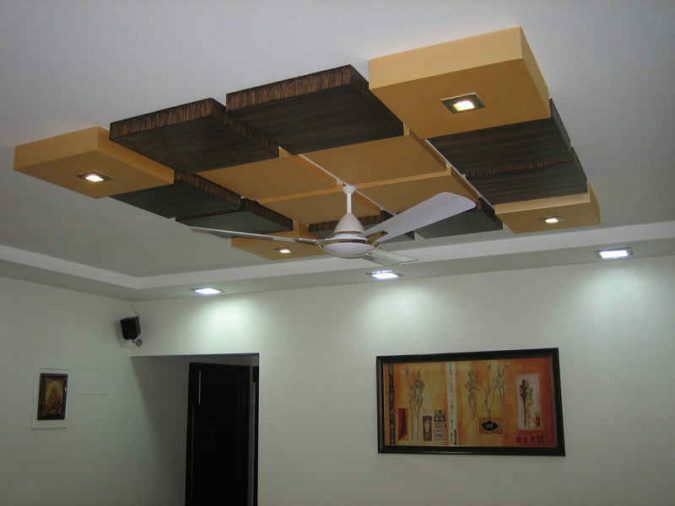 We prepared you a list of some suspended ceiling decorations. 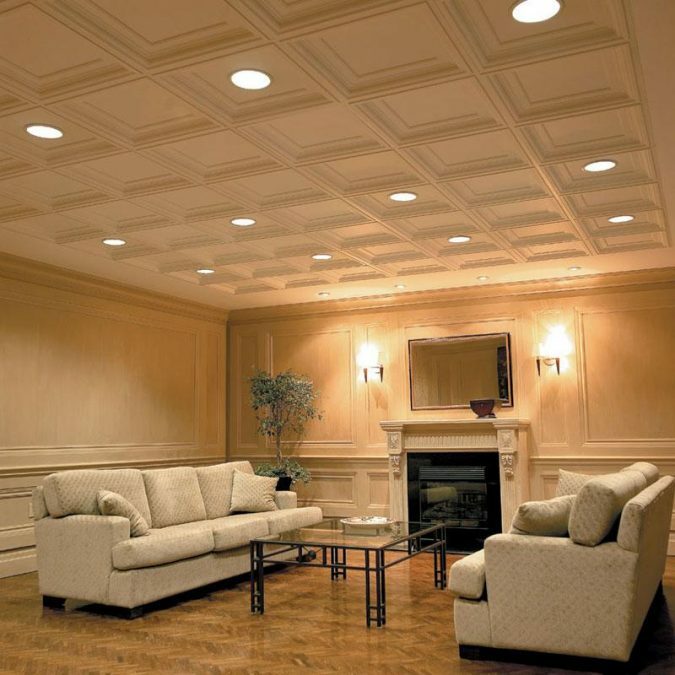 You can install this hanging ceiling in your living room; it is a simple white that will help create a beautiful contrast with any color you have in your living room. 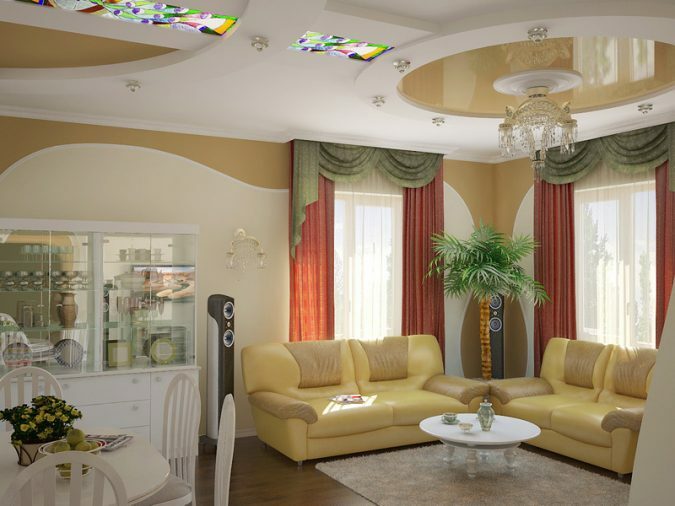 It is a small change, but it will guarantee you the feel of having a different environment. 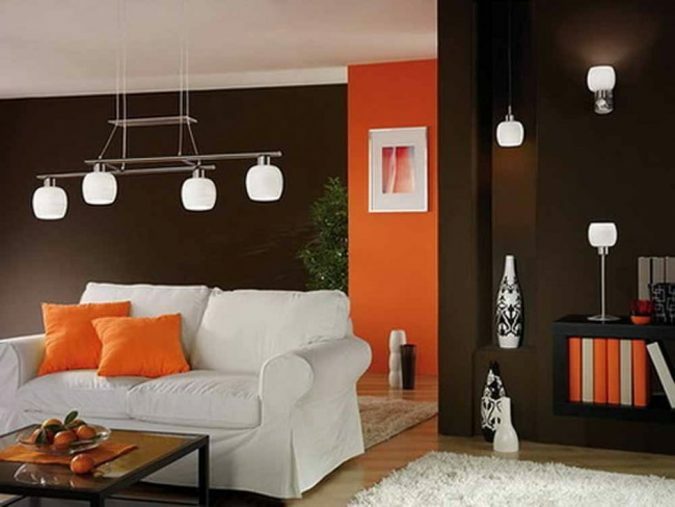 You may consider installing a suspended tray into your ceiling; it comes in different shapes and colors, so you have a great variety to choose from. First choice is installing a wooden tray; wooden objects always create a sophisticated look, and it goes in great harmony with any interior design, it is an easy selection that you might like resorting to. 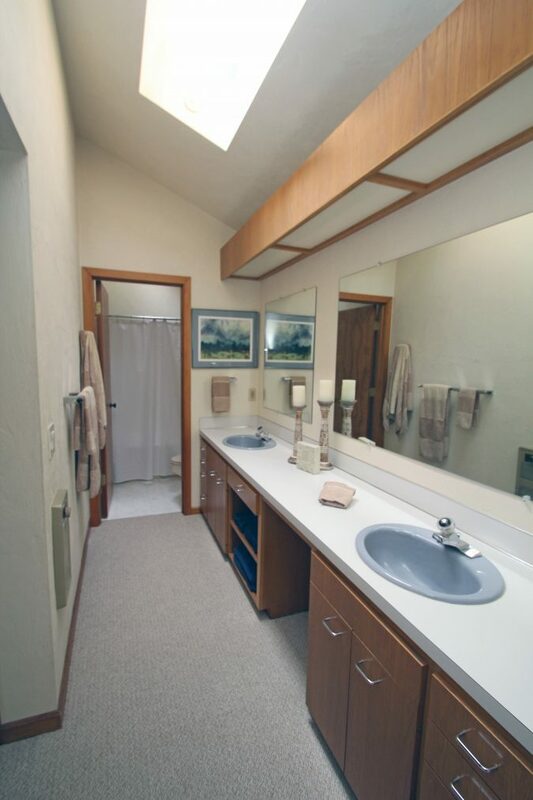 You can also install trays that have geometric shapes; they will add a great look to your overall room design. 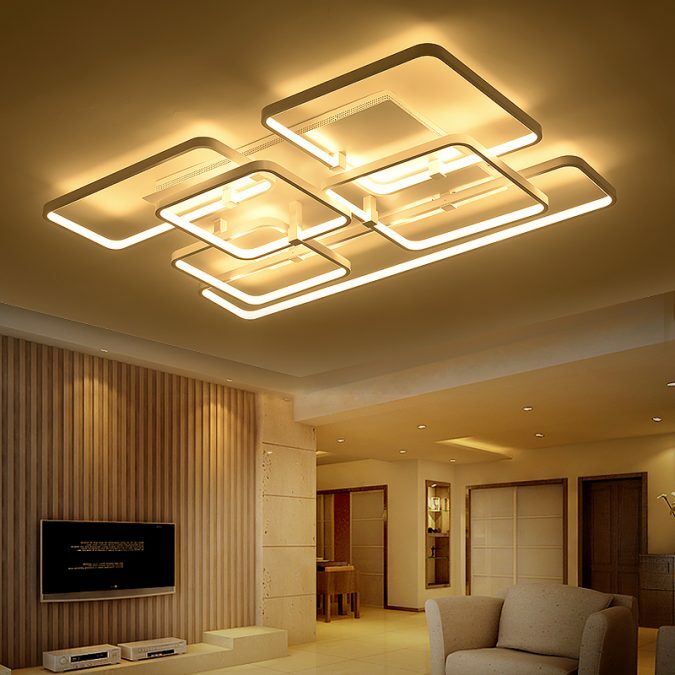 One more thing you are able to do with installed trays is adding some lights to it, for this will help to illuminate your rooms beautifully. 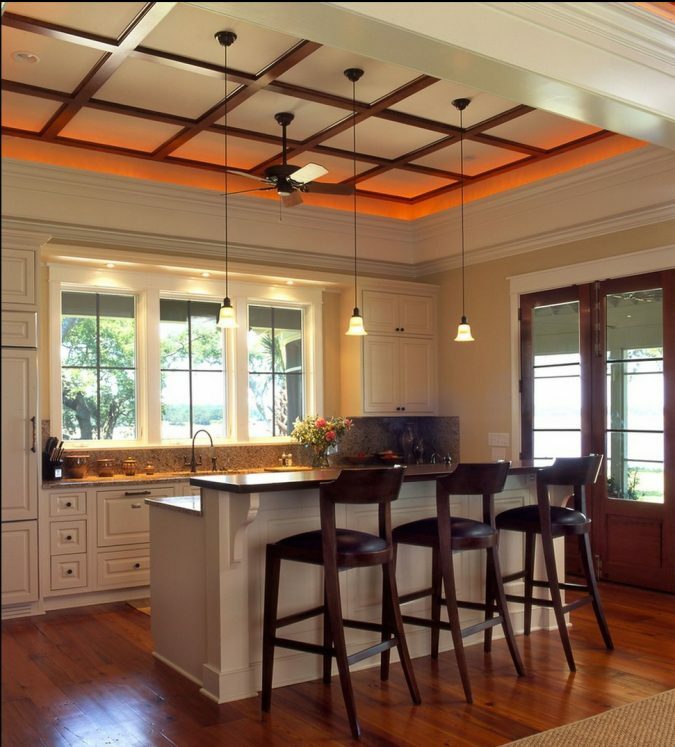 Here is a suspended ceiling that you can install in your kitchen; it looks neat and will add nice lighting in your kitchen. 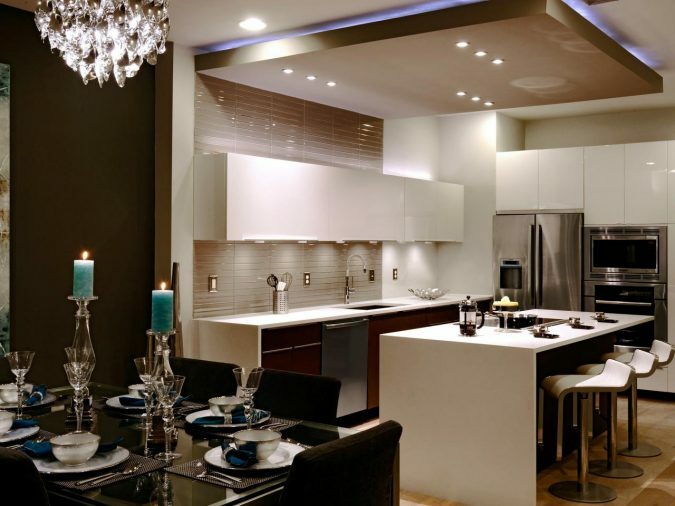 You just need to choose where you are going to place your light spots, so you can brighten your kitchen up elegantly. 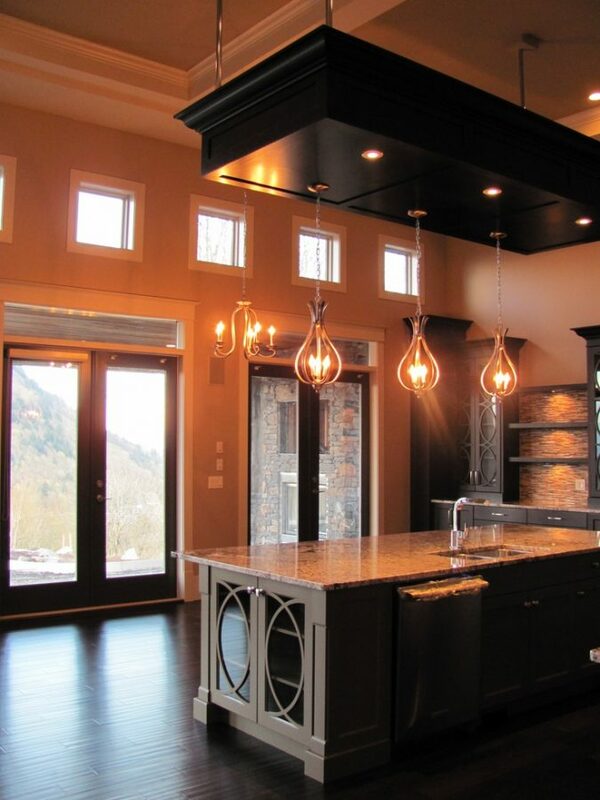 This is a panel that has a dropped hanging hoods from it; it works perfectly in small sized kitchens, for it looks very modern and neat as well. 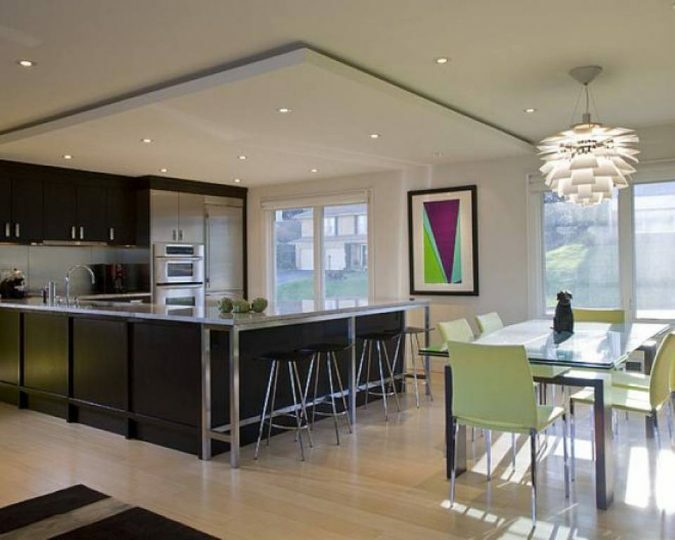 It is going to turn your kitchen’s design upside down in a great way and you will definitely fall in love with it. 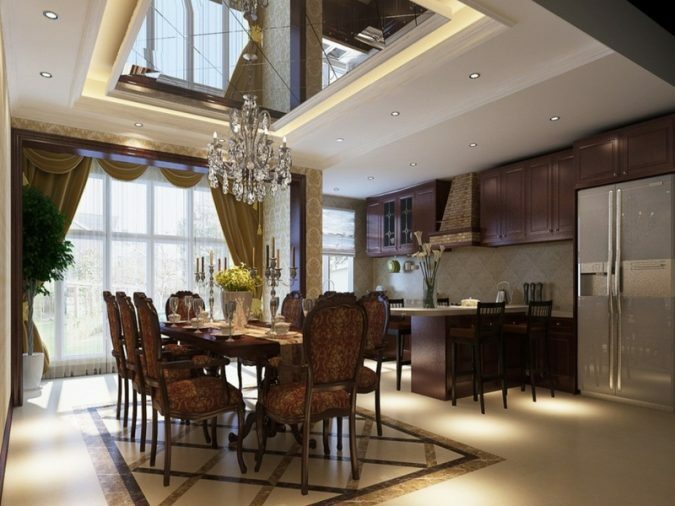 Here is a dropped ceiling that allows you to add some lighting fixtures that will illuminate your area beautifully and brightly. 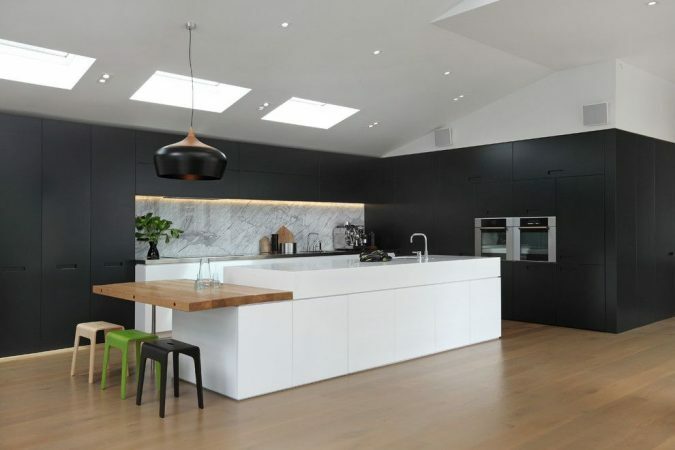 It is square-shaped, and can be put anywhere in your house, not necessarily the kitchen. 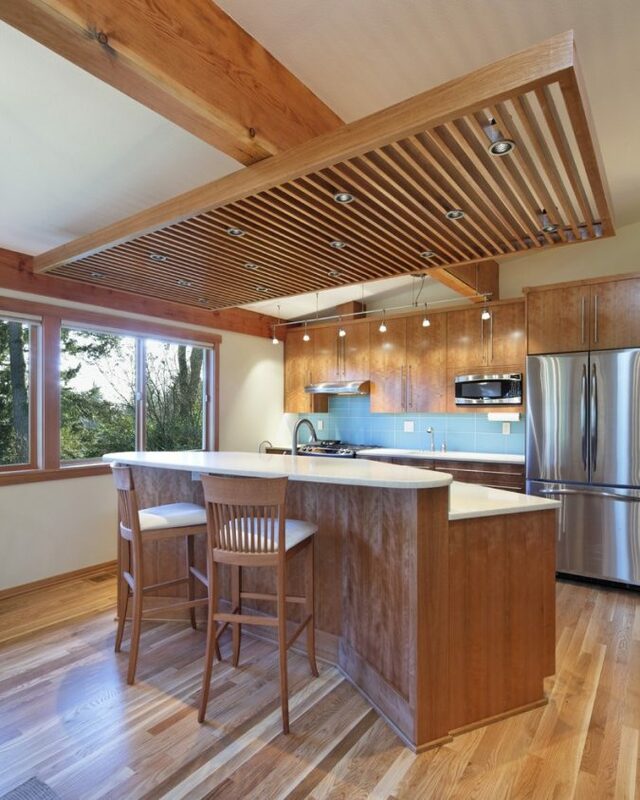 This wooden panel can be installed in either kitchens or bathrooms. 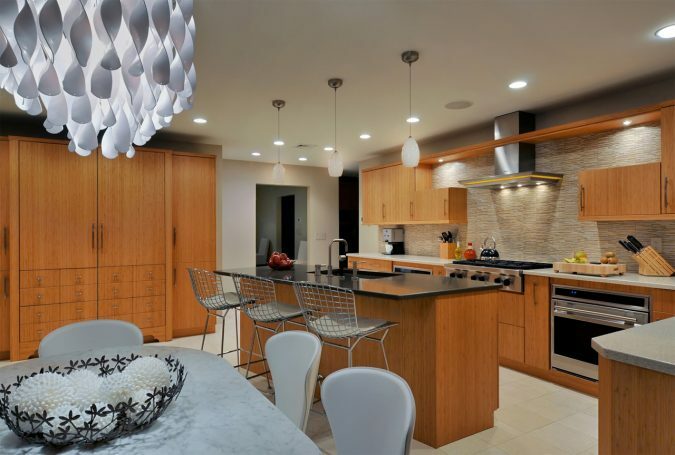 It has several spaces allowing light fixtures to gently give the area, whether the bathroom or the kitchen, a bright look and a positive atmosphere.